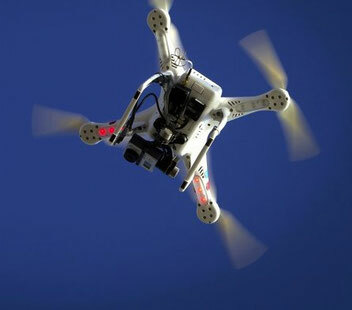 The Civil Aviation Administration of China has reportedly granted an operating licence to operate logistics drones in China to SF Holding, China’s largest listed courier provider and parent of SF Express. The licence will allow the company to operate drones in pilot zones designated by the Chinese aviation authority. Company shares reportedly jumped 5%, with the State Post Bureau stating that more than 40 billion parcels were shipped in mainland China last year - an estimated 110 million packages a day - and volumes are expected to reach 49 billion parcels this year. Package delivery is key in the world’s biggest consumer market, where the rise of e-commerce and mobile payments has shifted shopping for everything from groceries to factory parts online. Drone use in Chinese logistics has been on the cards since 2015, when e-commerce giant Alibaba partnered with Shanghai YTO Express Logistics in a one-time test - delivering packages of ginger tea by drone. Rival online retailer JD.com, which has its own delivery service, was reported to have started making drone deliveries last year after testing the service in some rural areas in 2016. SF Express said that to gain the license, the company had to complete a four-stage process: preparation, initiation, implementation and validation. “SF Express will use aviation drones to connect aviation logistics networks through our three-stage air transport network,” the operator said. “This consists of aircraft, large-scale drones and final-mile drones, which will allow us to achieve 36-hour access nationwide,” the delivery firm concluded.